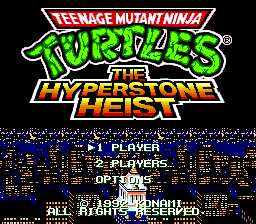 Teenage Mutant Ninja Turtles: The Hyperstone Heist is an action beat ‘em up game for the Sega Genesis. 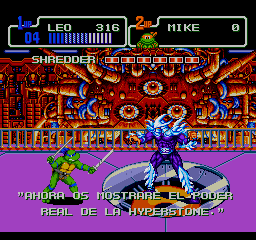 Almost full translation to Spanish of Teenage Mutant Ninja Turtles: The Hyperstone Heist for the Sega Genesis/ Megadrive. 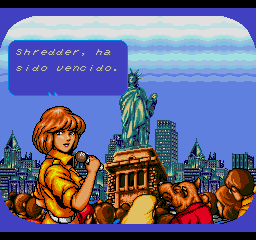 Translates all dialog and history. 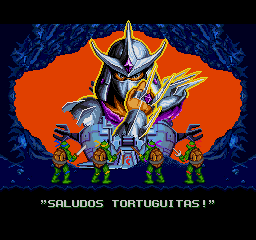 And the menu options, but not the menus themselves. 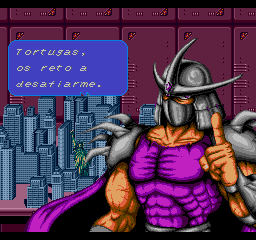 Does not translate the in-game texts “PUSH START”, etc.